After passing the opening weekend on a decent note, the Hindi period action drama Parmanu- The Story Of Pokhran showed a good hold on Monday due to positive word of mouth. Directed by Abhishek Sharma, it is based on the series of underground nuclear tests carried out by India in 1988 at Indian Army’s test range. 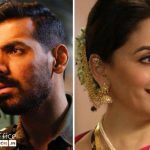 Starring John Abraham, Diana Penty, and Boman Irani, Parmanu has got succeed to hit the target right. For its engaging story-line, convinceable screenplay, and solid performances by the actors, the movie has received mostly positive reviews from the critics as well as the audience across the country. On the opening day, Zee Studios’ presentation took a slow start in the morning due to limited promotions but picked up slightly well over the evening & night shows and minted the amount of 4.82 crores. On Saturday, as expected it reported a healthy growth in footfalls and minted the amount of 7.64 crores. Then on the next day i.e. Sunday, Parmanu‘s run got hampered by the final match of IPL 2018 but still managed to take some growth and bagged the amount of 8.32 crores. After the opening weekend, the total collection of the movie was recorded at 20.78 crores from 1935 screens. 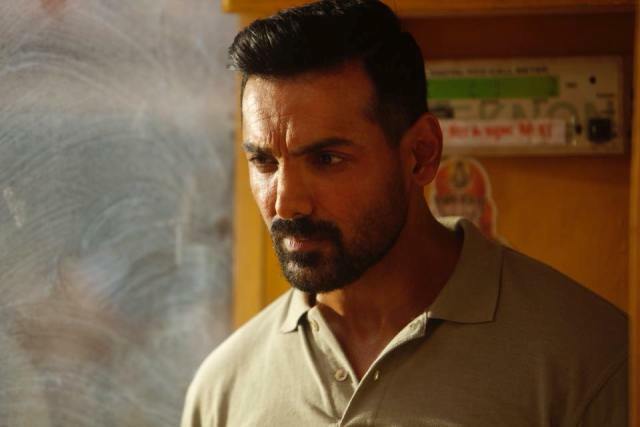 Now John Abraham starrer has entered on weekdays at a good pace despite normal working days. On Monday, Parmanu faced a drop of around 14.94% than Friday and registered the business of 4.10 crores. After this, its 4 days total collection has become 24.88 crores at the domestic box office.